Dean earned his law degree in 1965 from Georgetown University and in 1970 became President Richard M. Nixon’s White House counsel. In 1972, Nixon appointed Dean to investigate the “possible involvement” of White House personnel in the break-in at Democratic National Headquarters in Washington’s Watergate complex. Refusing President Nixon’s request that he fabricate a report denying an investigation cover-up, Dean soon turned against his boss, revealing to federal investigators all he knew about Watergate. 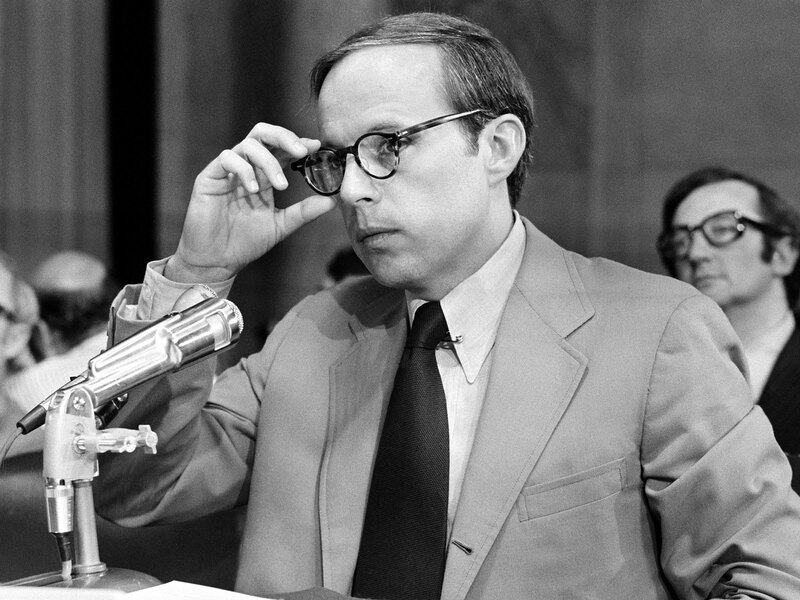 Two months after Nixon fired Dean on April 30, 1973, Dean testified publicly before the Senate Select Committee on Presidential Campaign Activities, revealing in detail how the White House had systematically obstructed justice following the Watergate break-in. Imprisoned briefly for his role in Watergate, Dean told all in the confessional memoir Blind Ambition (1976).